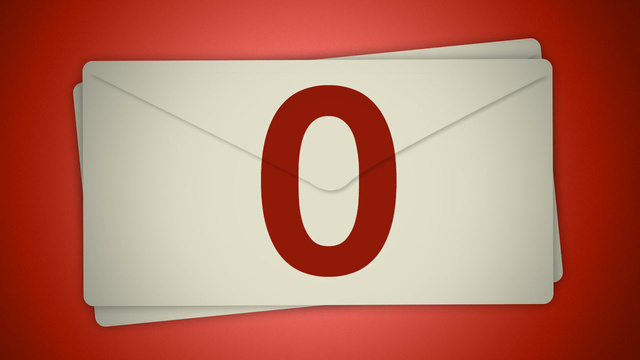 Inbox Zero ~ Said No One Ever! Well, except for me. I say it all of the time. And because you know how type-A I am, you won’t be surprised when I tell you that all 5 of my email accounts have amazingly pristine inboxes. (Yes, I have 5. Don’t ask. That is for another day.). And not only that, but I have beautifully labeled folders in each of these accounts separating everything from the kids’ school stuff to business ideas. And further more, my iPad and iPhone are harmoniously synched to reflect this state of inbox zen! But did you know that I’m not considered an inbox overachiever? Rather, I am considered a prime example of a healthy inbox owner. And there is an actual word for this! INBOX ZERO! And those 2 words, my friends, help me justify my overly compulsive behavior. But let’s be realistic, for most of you or rather everyone but me, there is only such a thing as INBOX MILLIONS. So I’d like to offer you some help in this category so you, too, can find peace of mind and that oh-so-important email you haven’t been able to find since asked by your boss to locate it like 3 months ago. Frankly, I’m surprised you still have a job or friends with the way your inbox looks and all…Seriously, your best friend sent you an Evite to your God daughter’s birthday and you never even knew it! Nice. Real nice. Those days are behind you! I am here to save the day. First, you’ll need to register and get in line for your MAILBOX. They are currently taking reservations. I got in line the other day on my iPhone and it told me I had like 60,000 people ahead of me. However, when I checked back today there are only 12,999 people ahead of me. I am so excited for my number to be called. And when it is, I will share the news with you! But for now, I strongly urge you to get your place in line so you can be well on your way to INBOX ZERO. But while you are waiting for your new MAILBOX try out this other app that I love-PAPER KARMA! Paper Karma helps control the junk mail you receive in your actual mailbox (You know, the one on the street?). Simply snap a photo of your junk mail and it sends a request to unsubscribe from the publisher’s mailing list! I have used it a lot and it actually works. No more unwanted catalogs or flyers! So happy.